Use Ribbed Glass Funnel with filter paper for filtering impurities from plating solutions. Ribbed for better flow of solution. Heavy-duty with approximately 1/4" thick walls. 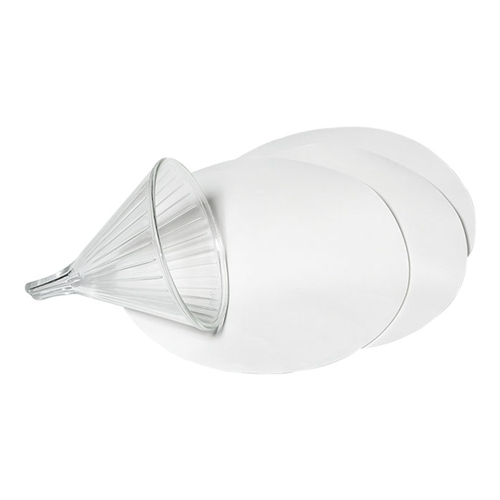 Line funnel with Filter Paper, see "Related Products" below.